This is a dream piece of furniture. I can't wait to hang one in my new Garden Room at home. It will look amazing with gorgeous tropical style plants and foliage styled around it (try our faux range if you're not very green-fingered!). I'll be layering mine up with a couple of sheepskins and soft cushions to really push the luxe-feel. 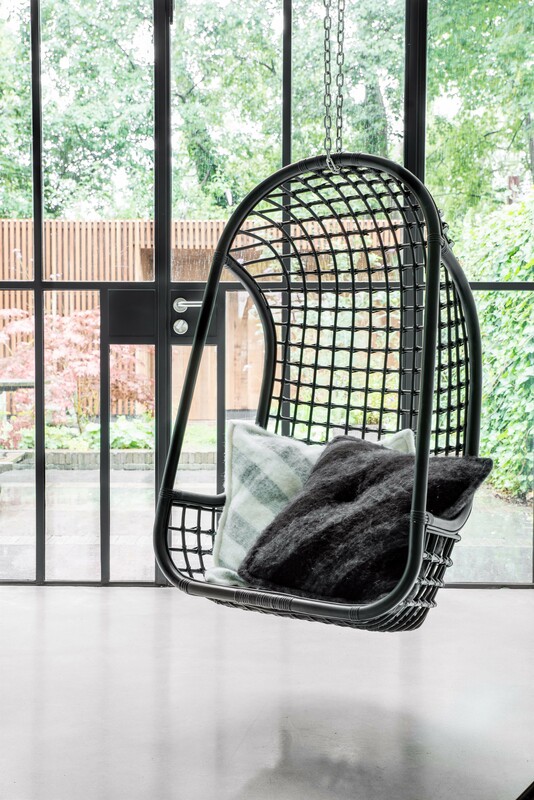 This Black Rattan Chair would also be great in the garden, bringing the indoors out - just be sure to take it in after use or the British weather will have it's wicked way with it! 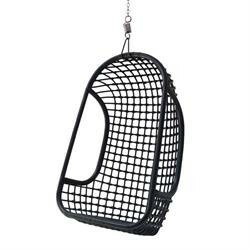 This product is made from natural Rattan so is not suitable for prolonged use outdoors. Always store in a dry place to avoid damage and ensure your chair is fitted and hung by a professional to avoid any injury.